Abstract : This booklet documents the bioclimatic maps that cover the south-western part of India corresponding to the Western Ghats and adjacent areas. The area is characterised by very steep climatic gradients determined by the interaction of the southwest monsoon winds with the relief barrier of the mountain of the Western Ghats. Data from more than 3,000 stations and covering the period 1950-1980 were collected from various government and private sources. They were analyzed to produce two (North and South) 1/500 000 scale bioclimatic maps given as appendices. 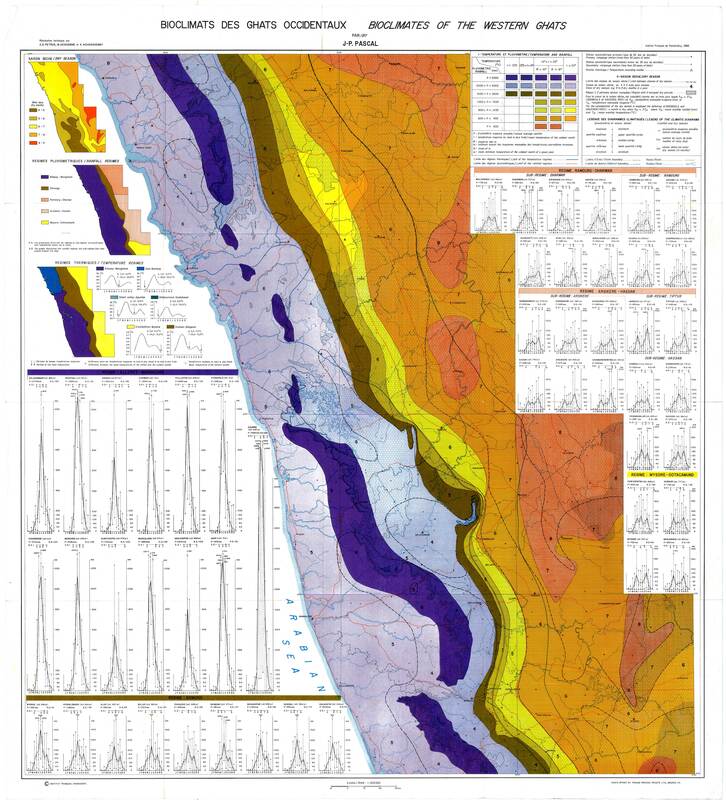 The present booklet details the methodology used to produce the maps, which are provided along with climatic diagrams illustrating the annual rainfall distribution and its inter-annual variability. 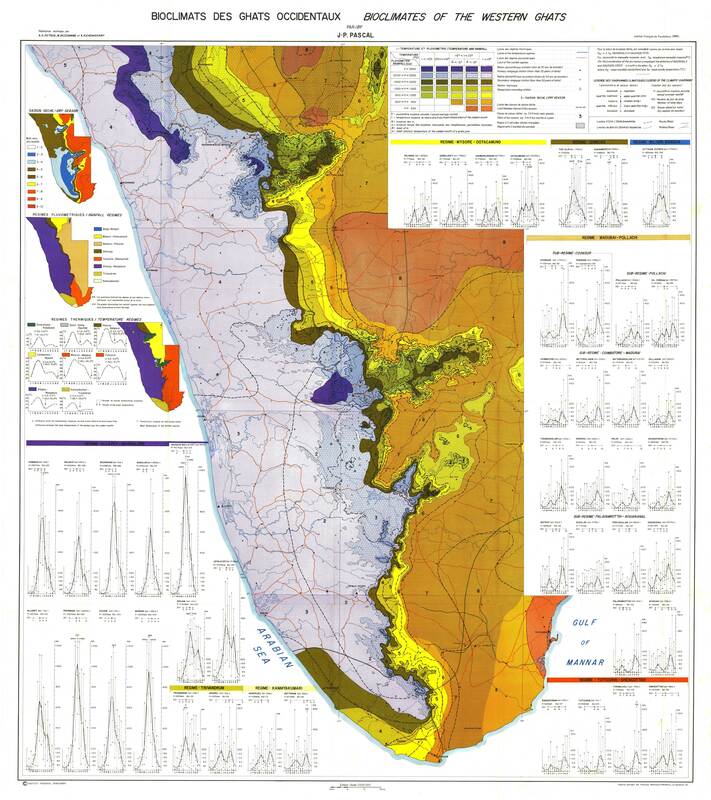 The maps show the spatial distribution of the rainfall and temperature regimes, and the length of the dry season, which are the main physical factors determining the pattern of vegetation in the region.